This image will make sense. Is science fiction a true genre or is it something more? It is called one but genre is a category of artistic composition characterized by similarity in form, style or subject matter. An argument can be made for and against calling science fiction a genre I think. I only ask that particular question because we seem to now to have a sub-genre of science fiction in film and television which people are calling superhero movies or superhero shows. This sub-genre certainly has similarity in form, style or subject matter. Or it at least began that way and seems to be branching off into different stories to be told. This could be a very good thing. For the most part, super hero movies and television shows have been formulaic. Your protagonist is a super powered individual who has an origin story and then has to defeat a supervillain, someone usually tied into the character's origin or possessing a complementary power set. If the character has already established themselves with an origin film, then the later movies are defined by the character facing bigger and grander threats. Or, in the case of television, the villain is usually the Bad Guy of the Week. This villain may or may not play into a larger story arc that our hero has to face by season's end. There is nothing wrong with this. There is some satisfaction with knowing exactly how a story is going to turn out and is partially why romantic comedies are so successful. You know that the good guy will overcome evil or that the pretty girl will choose the good pretty guy. This is the movie where Black Widow dates Cap and not the movie where they steal the SAT answers. But lately there has been a bit of a shift in how these stories are told. They aren't just cookie cutter superhero films. There is more nuanced storytelling or daring to try new tactics out. I think it was really began for me with Captain America: Winter Soldier and cemented in Logan. Winter Soldier is pretty much a spy movie which happens to feature two main characters with a little more than normal strength. If you removed Cap's and Bucky's costumes and wilder maneuvers you would have a straight up spy movie. Actually, you can probably leave in the wilder moves and still be okay with the level of action moves we see in non-superhero movies. 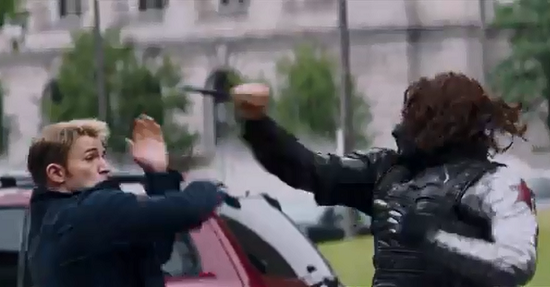 Winter Soldier becomes Skyfall plus Golden Eye with Marvel characters. MI6 and the tech is easily swapped out with SHIELD and Bucky is just Alec Trevelyan with an armor upgrade or that anonymous character from the Golden Eye: Rogue Agent video game. The superhero film can be utilized to tell a different kind of story with enhanced humans that we are familiar with and it can work. The prime example of this is Logan. Logan is another entry into the Fox-Marvel cinematic universe of the X-Men movies but it is also a stand alone movie. I know this to be a fact because I watched this movie with my mother and grandmother with just giving them the broad overview of the characters. It's a western tale of a down on his luck old man going on his final mission of vengeance and justice. Logan definitely used superhero tropes and moments but based them heavily in a real world future setting. Logan wasn't fighting a big supervillain like Magneto or Apocalypse. He was fighting the forward movement of man and his own mortality while trying to secure the legacy of mutants. It was a movie that definitely stepped outside of the typical superhero mold. Fox-Marvel has continued this in the FX show Legion. Legion is the story of young David Haller, a young man with mental problems living in a mental institution who also happens to possess massive psionic abilities. The series is a journey to him realizing this and fighting against people who would control him. The idea reads as pretty straightforward and there is even a supervillain but it is presented in such a way that it makes us question our own sanity. The episodes are confusing and colorful and sometimes you don't know exactly what is happening or where or when it is happening until later. It's awesome. Legion is testing the limits of what makes really intriguing superhero content. And it appears that Fox-Marvel is going to continue this with the horror movie The New Mutants. The MCU is definitely doing this in it's Netflix series. Sure, Daredevil fights super ninjas but his stories are very layered and the other series on the streaming service are starring non-costumed characters dealing with problems at a street level. It's great to have the big name heroes but using less powered and less familiar characters allows you to explore different types of stories. It's far easier to tell a Luke Cage fighting corruption and local problems story than a Superman story in the same vein. Not impossible but definitely harder. To continue to move forward with quality superhero content the creators are going to have to continue with risk stories outside of the old superhero borders. I know that there was talk of future DC movies directed and produced by people not normally associated with the superhero genre. This could lead to interesting takes on the villains and heroes of the DCEU. There is also talk of a potential Kitty Pryde Movie in the works. 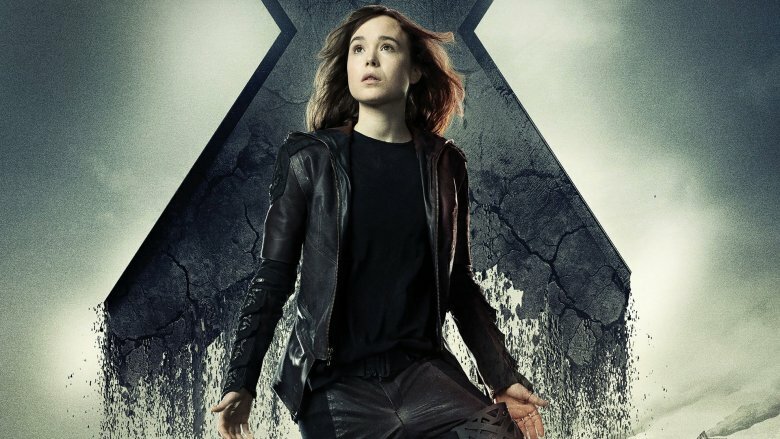 I think it would be great if they would do something new and try to tell a movie first with just the twist that she is a mutant woman who becomes intangible. (It would also be good if the creative team has a substantial number of women in it but that's a post for another time) The opportunity for a truly engaging movie starring a superpowered female protagonist is there. Marvel just has to be brave enough to make that move. Try something new and amaze us. People are already going to see the movies and a different story type might just be really cool.